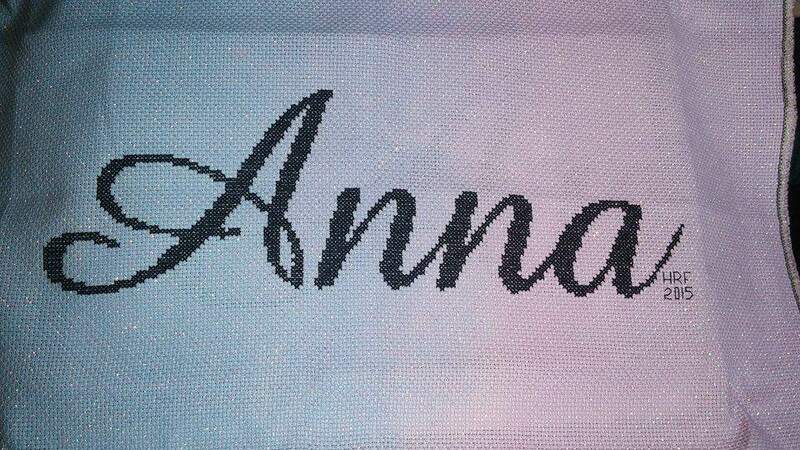 Here is a simple chart that I made simply with the name “Anna” on it. It’s getting an awesome black frame and being given as a gift. This was made as a custom chart. If you have a name or quote, I can create charts and have thousands of possible stitched fonts. I’m sure I can find a style right for you.